On the day after Christmas, Lucy and Annabelle went for a walk around Klyde Warren Park. 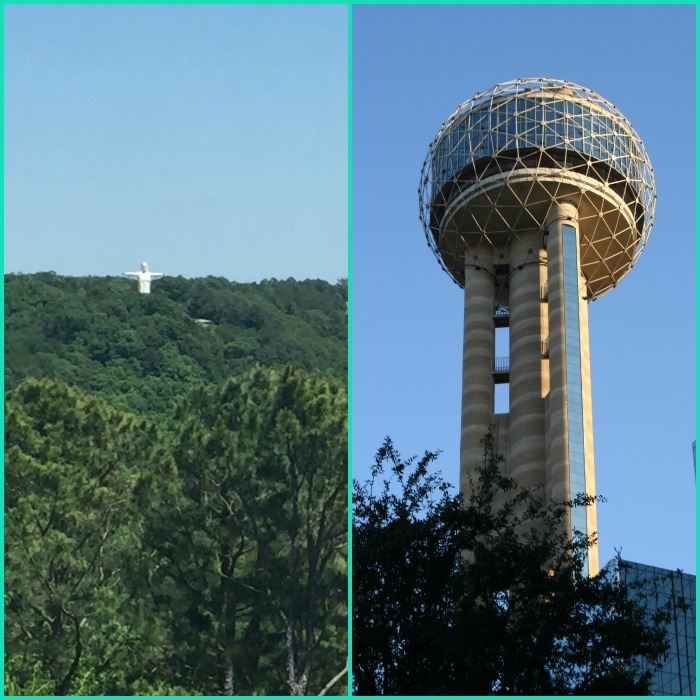 John and I went, too, along with half of the city of Dallas. Apparently lots of people in north Texas shared our game plan—to get out, enjoy the day, and step away from the leftovers. And no one was wearing those heavy sweaters and scarves Santa brought for Christmas. Folks dressed in shorts and threw footballs or lounged on blankets while barefoot kids splashed in the fountain. Although the weather felt more like the first day of spring break, there were plenty of gorgeous decorations to remind us of the season. Lest we forget. A different shade of dark. Do you remember how you felt on September 11? I do. Afraid. Panicked. Sad. Worried for my children. I literally expected the sky to fall around me. BUT, the Dallas sniper attack on Thursday night represents a different shade of dark. It feels like the worst sort of bad. To me, when Americans attack Americans on American soil, we’ve reached bottom.